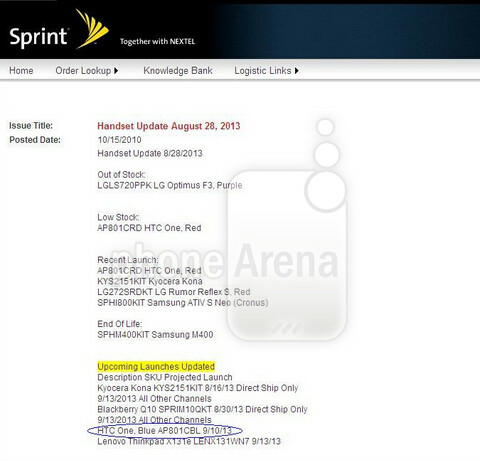 Sprint will be offering the Taiwan based manufacturer's Android flagship model in silver, black, red and soon in blue. The nation's third largest carrier is currently asking $99.99 for the handset with a signed two-year contract. Not a bad price for the phone that currently has the highest pixel density (468ppi) in the industry, you should be able to pick up a blue HTC One from Sprint on September 10th.